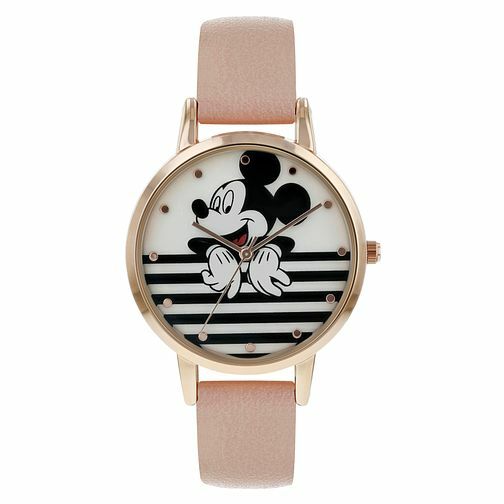 This gorgeous Disney Minnie Mouse watch features a hard-wearing, durable blush pink polyurethane strap, rose gold tone hour and minute hands, rose gold tone case and the most iconic Disney character of all time Mickey Mouse on the dial. Disney Mickey Mouse Pink PU Strap Watch is rated 5.0 out of 5 by 3. Rated 5 out of 5 by Anonymous from Quality Product This watch is of the quality you'd expect from H.Samuel and Disney. It's cute and functional and looks even better on the wrist.